Sunderland is on the south side of Manchester, and the house sits just a few short miles from town. Drive through endless stone walls and mansions to get there. 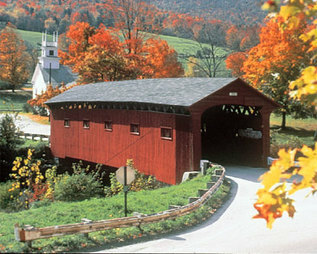 Manchester, Vermont is a beautiful tourist area with loads of shopping and activities for tourists. Seated at the foot of the green mountains, it's a hub for Horse show participants, skiers, shoppers, and outdoor enthusiasts. The Appalachian hiking trail (we call it Long Trail) is just a short ride up the mountain and you can hike all the way to Georgia, if you have the time! There's a 5-mile jogging loop around the local roads - most of them dirt. Just leave the driveway, start jogging and just keep turning right until you get back to the house. Or walk 4 miles across the valley and up the other side to the incredibly scenic, high-elevation sheep farm. Grab a raft and float the Battenkill River. There are 2 bridges - one a mile north, and the other, a mile south. Park a car at the south bridge and hitch a ride to the north bridge where you can "put in" for a really relaxing 2 hour float. The location of this property is awesome. We're 5 miles from Manchester, so we're close enough to get groceries, but far enough away that we don't have to worry about Manchester's crazy town restrictions. So nobody bothered us that day we decided to burn the Christmas tree and a 20 foot flame shot up into the sky! 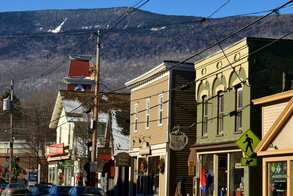 It takes us 13 minutes to drive to Bromley ski resort and 21 minutes to Stratton resort. Also, Riley Ice Rink is only 10 minutes away, so even in the summertime, we can ice skate. It's just a quick hour to Saratoga Raceway for the horse races. We do overnight trips every summer to Saratoga to bet on the horses, and go to Six Flags Amusement park in Lake George. The kids have been playing hockey since they were 5. In some winters we will turn the back driveway into a 90 foot ice rink. We get a huge plastic liner, staple it to the walls, and flood the back parking area until it freezes over. Then get out your skates and shoot some pucks. On Green Peak mountain, just a few miles north of Manchester, you can hike to the bat caves and rock quarries. The easy 1-2 mile hike up the mountain will lead to mysterious underground caverns and a wide chimney face that many rock climbers enjoy. 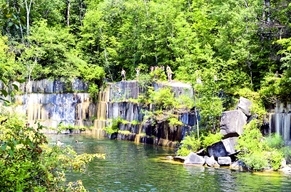 There are multiple marble rock quarries, and even a swimming quarry in nearby Dorset. 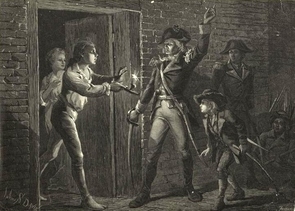 Sunderland is home to the cemetery where Ira Allen is buried, of the famed Green Mountain Boys. Just hike up the street to see his burial place and explore all the interesting gravestones across from a historical church. After that go fly fishing on the Battenkill or hike the mowed river trail which is just down the hill. Battenkill Canoe is 1 mile away and you can rent canoes for the day. Visit Bennington to see the grave of Robert Frost, then walk through the museum. Afterwards, you can take a short drive to the Bennington museum or travel just over the border to Massachusetts for the fascinating Clark museum where some of the most famous pieces of artwork in the world are housed. Walk a quarter mile to the Hill Farm Inn every Thursday night for the little-known, but highly attended locals night. Strangers are soon friends and you'll enjoy the restaurant in the newly renovated Hill Farm Inn. Then walk home without the worry of a drive. Get rates and book your vacation now.